Cockburn, a style all his own! 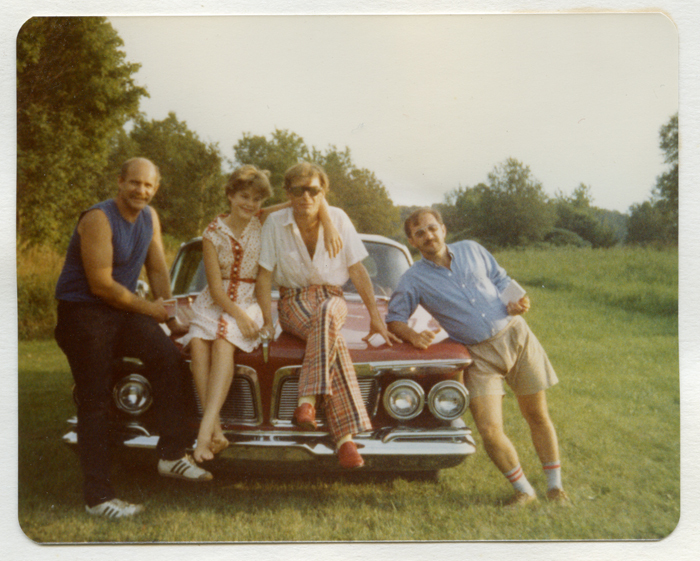 To have known Alexander is to have known lots of style surprises… like what to drive across the country. Can you say “gas guzzler?” Somehow it all fit. He talked Andy Kopkind into going down with him to Florida in the summer of 1981 to help him pick up his old Imperial. They had a great road trip back to the farm. We posed on the Imperial with Alexander’s wonderful daughter, Daisy.